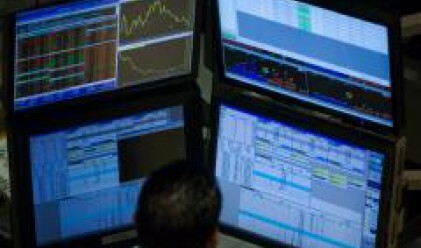 The SOFIX blue-chip index of the Bulgarian Stock Exchange (BSE) posted its fifth straight gain today. The advance may be put down mainly to Albena and Holding Roads, as well as to Sparky Eltos and Chimimport. The SOFIX ended today's session 0.13% higher at 1,035.29 points, while the BG40 index slipped by 0.76% to 255.43 points. BSE's overall trading turnover totaled 2.55 mln leva. The value of the over-the-counter deals amounted to 500,000 leva. Holding Roads' stock added 3.17% to its value closing at 17.25 leva per share, while Moststroy advanced by 0.23% to 22.05 leva per share. Only 48 shares in Albena traded hands on the day but the stock of the company appreciated by nearly 7% to 70.00 leva per share. The company announced yesterday that the number of the visitors at the namesake resort stands at 15,680 at present. Chimimport was also among SOFIX's advancers today. The stock price of the company went up by 1.17% to 8.60 leva per share. The traded volume on the position stood at 35,000 shares, while Sparky Eltos added 0.96% to 8.38 leva per share. Albena Invest Holding and Eurohold Bulgaria closed 1.09 and 0.42% higher at 9.30 and 4.81 leva per share, respectively. Synergon Holding and Industrial Holding Bulgaria ended the day with losses. Synergon slipped by 4.28% to 6.7 leva per share, while Industrial Holding Bulgaria skidded 0.82% lower to 6.05 leva per share. Stara Planina Hold shed 1% of its market value closing at 4.40 leva per share. Orgachim ended the session 8% lower at 176 leva per share, while Monbat and Neochom lost 0.71 and 2.32%, to 11.00 and 84.00 leva per share, respectively.